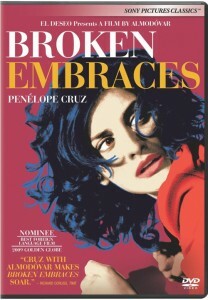 The international cinema’s most successful filmmaker, Pedro Almodovar, returned in 2009 with Broken Embraces, his newest opus of oh-so-exquisite suffering starring, in her fourth Almodovar movie, Penelope Cruz (Nine). Told in flashback, Cruz’s Lena is a secretary/call girl who gets involved with a financier as she angles to become an actress in a Women on the Verge of a Nervous Breakdown-like film. That’s the 1992 part of the story—the contemporary section involves a blind writer (Lluís Homar, who was formerly the director who hired Lena in the Nineties) and his agent wife Judit (Blanca Portillo), amongst a handful of other well-etched characters. Broken Embraces is a the kind of emotion-filled film about men and women and love and desire that Almodovar has been crafting expertly for the past 30 years. The melodrama is palpable, the colorful production is distinctly the filmmaker’s own and the performances are all first rate, though casual fans may begin to feel that the overall, er, “Almodovar-esqueness” is beginning to feel like that same old, er, Almodovar. But there’s no denying that it’s served up with style, intelligence and maturity. As with all of Sony’s Almodovar DVD releases over the past decade, Broken Embraces comes with a healthy complement of special features. Leading the way is the filmmaker’s first short in some three decade, 2009’s The Cannibalistic Councillor, an eight-minute-long knock-of from Broken Embraces that stars Carmen Machi as a coke-snorting local politico who yammers about everything from Franco to pedophilia.